The energy regulator is poised to overhaul its decades-old charging regime for Britain’s power grid in a bid to tackle a growing dilemma caused by the boom in off-grid electricity. The issue of how to pay for Britain’s high-voltage cables and wires has been brewing for years as more homes and companies avoid paying grid maintenance costs by using power they have generated themselves, such as rooftop solar power or diesel generation. The trend has raised serious concerns that energy users who cannot avoid paying these charges will be forced to pick up the slack of ever growing costs, leading to cripplingly high energy bills. This could be devastating for the millions of small businesses in the UK that cannot afford to invest in their own power projects. But it would also hit high energy users such as factories and steel plants, which employ hundreds of thousands of people and need access to the grid to operate. Andrew Wright, a partner at Ofgem, said the regulator wanted to make sure that all users “pay a fair share of the costs even if they are only using the networks when their on-site generation is not producing electricity”. 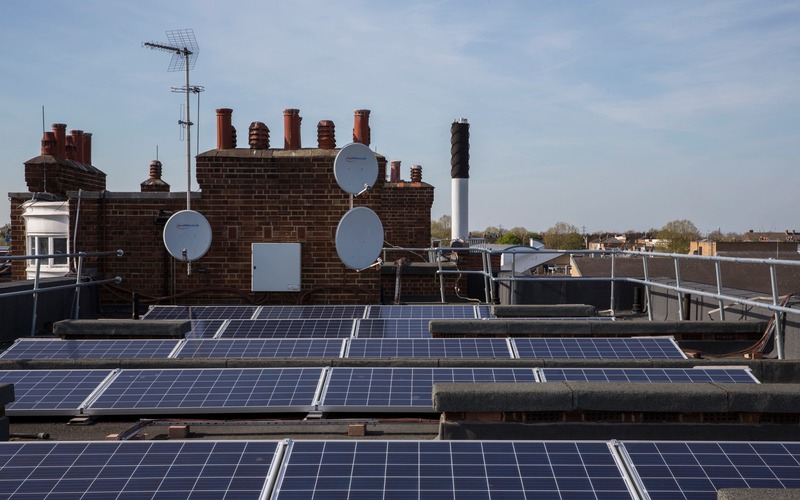 Ofgem has set out four possible alternatives in a consultation paper, including a charging calculation that uses a consumer’s ‘gross demand’ regardless of whether it is met by power from the grid or from an on-site source such as a solar project or mini-plant. The regulator is hoping that bold changes to the charging regime will help level the playing field without scuppering vital investment in small-scale power sources. Other options include a fixed rate for all energy users, a rate based on consumption minus what is produced on site, and a review of the current regime. Duncan Sinclair, an energy expert at Baringa Partners, warned that the “pretty profound change” put forward by Ofgem was sorely needed, but must be done in a way that maintained investor confidence. “I don’t envy Ofgem’s position. They’re damned if they do, and damned if they don’t,” he said. Proponents of off-grid power have already warned that the move could severely damage the investment case for off-grid generation, which plays a huge role in helping the UK secure its energy supplies at low cost. The amount of so-called ‘embedded’ power has surged to around 10GW in recent years, almost triple that of the new Hinkley Point C nuclear power plant, which will not come online for another decade. Tim Rotheray, the head of the Association for Decentralised Energy, said Ofgem needed to “fully, carefully and methodically” consider the costs and benefits that business energy users provide to all consumers over the long term by reducing their use of the electricity networks. “Otherwise Ofgem will be asking business users to pay over the odds for networks they barely use, and industrial sites will see large, unfair increases in their electricity bills in contradiction with the aims of the Government’s energy cost review,” he warned.